I'm currently on holiday till the 14th, but I'll help you with this. 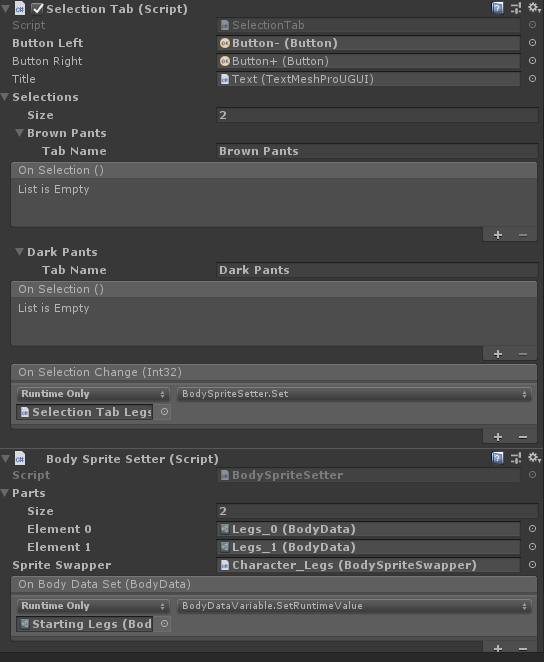 Have you set the data within the Body Sprite Setter as well? I've attempted to replicate your issue, but it is working as intended on this side. Sorry that this isn't documented but there is an easy tool available within the package to slice up and create new data files. 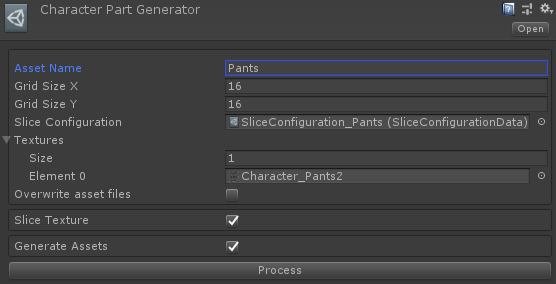 This will automatically slice up the texture for you, just ensure it has the same dimensions as the other pants images. It will also ensure proper naming. This will save a lot of time for you. The processed image will be placed at the same location as the Character Part Generator.